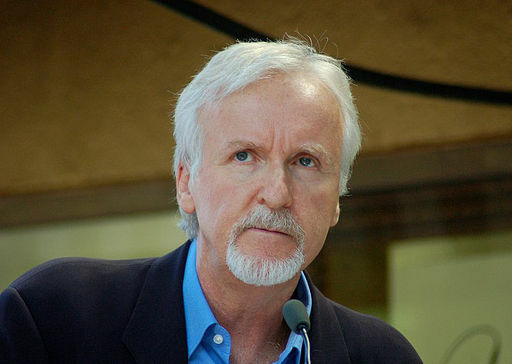 James Cameron is a visionary who brought about major technological innovations through his films. In Avatar, he used a combination of 3D and CGI wherein he mixed real footage with CGI that was motion captured. Avatar made a wide use of CGI or computer generated imagery. Such a technique was previously seen in the classic adaptation – Beowulf, which was directed by Robert Zemeckis. When Cameron pointed the camera towards the actors while shooting for Avatar, they were not seen as humans but as their on-screen avatars (generated by computers). This happened in real time. To give the world of Avatar a more enhanced look, the results of the motion capture were captured in real time. The use of this technique allowed the director to view the virtual background in terms of an action shot in real time. It took almost a year for the expert team – including James Cameron and a score of artists, to successfully transfer their work onto images that looked like real photos. Time was utilized for paying attention to every minute item in the shot- from a rock to a tree and even a leaf. These were rendered individually using the most innovative techniques (shading, lighting, and so on). These techniques made use of 1000 terabytes (equalling 1 petabyte) from hard disk storage. The actors in the movie shot the scenes while wearing a camera rig on their head. The rig was used to take digital shots of their faces. These digital shots provided full movement of facial features for those characters that were generated by computers. Usually, when a director feels the need to insert a dialogue or make it more clear, they make use of additional dialogue replacement or ADR. But in many cases, when you want to improve the dialogue, the movement of the lips may not match. On the other hand, if you want to introduce a new dialogue, the director may have to create a wide shot or use a head shot from behind. Overcoming all these obstacles, Cameron developed a whole new way of inserting a new dialogue or facial scan on top of an already performed scene. Cameron used this system in the year 2003 for his film Ghosts of the Abyss. Since then this system has been used by several directors to give their work a unique innovative touch. The use of these technologies has made Avatar a memorable movie.